Dubnium was produced in the 1960s by laboratories in both California and the former Soviet Union, leading to a protracted battle over naming rights that lasted until 1997. This 37-year debate has been referred to as the Transfermium Wars, as it concerned elements following fermium on the periodic table. Element 105 was finally named for the Joint Institute for Nuclear Research in Dubna, Russia in a compromise of sorts. Dubnium has no commercial applications. Dubnium is a D-Block, Group 5, Period 7 element. The number of electrons in each of Dubnium's shells is 2, 8, 18, 32, 32, 11, 2 and its electron configuration is [Rn] 5f14 6d3 7s2. In its elemental form, Dubnium's CAS number 53850-35-4. Dubnium’s appearance is unknown but it is thought to be silvery white or metallic gray. Little is known about the element and it has no known uses. Dudnium is a synthetic element and therefore is not naturally found in the environment. The discovery of Dubnium was made independently by Russian researchers at the Joint Institute for Nuclear Research in 1967 and then by American researchers at the University of Califorinia, Berkeley in 1970. Dubnia is named after Dubna, Russia, where it was first discovered. Dubnium information, including technical data, properties, and other useful facts are specified below. Scientific facts such as the atomic structure, ionization energy, abundance on Earth, conductivity, and thermal properties are included. 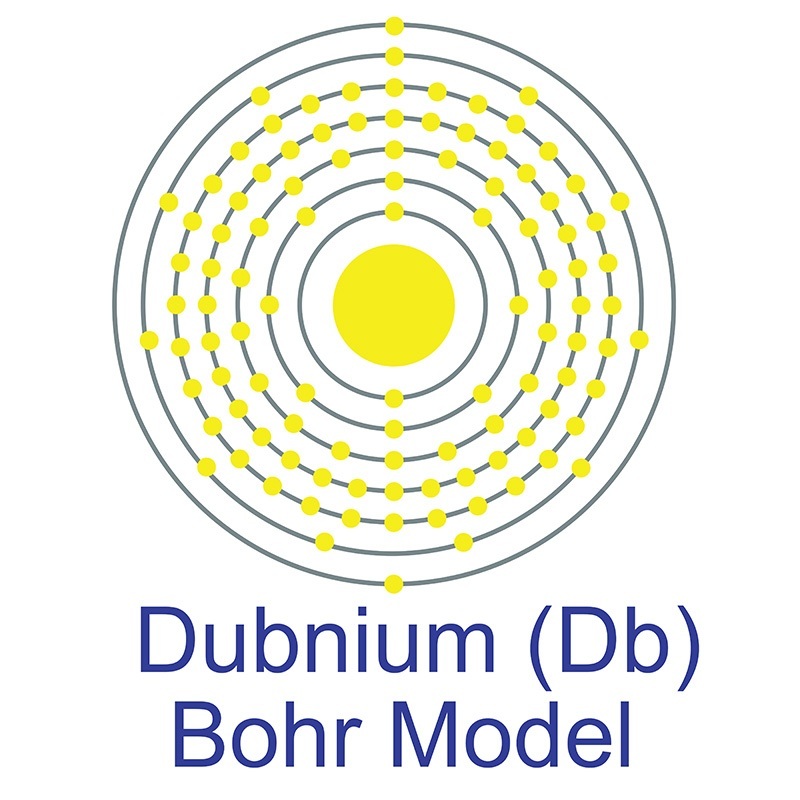 Dubnium (Db) is an artificial element. Like all artificial elements, it has no stable isotopes.